The problem of the fabrication of third-generation high-temperature superconductors (HTSCs) that are designed for the transmission of electric energy and the creation of nanoelectronic devices is studied in this work. The issues of the fabrication of dielectric substrates for the third generation wires are considered. The technology of HTSC film deposition on the quartz substrates is presented. Complex studies of sputtering of the buffer and superconducting YBa2Cu3O7 − δ (YBCO) layers were performed. The results of studies of electrophysical properties of the HTSC films on the quartz substrates are discussed. Original Russian Text © N.V. Porokhov, A.S. Kalabukhov, M.L. Chukharkin, A.G. Maresov, D.A. Khrykin, N.V. Klenov, O.V. 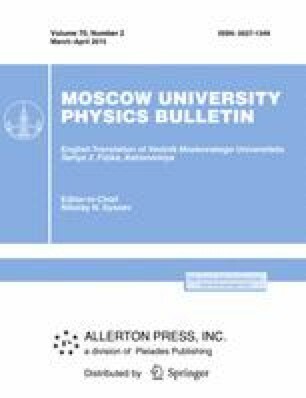 Snigirev, 2015, published in Vestnik Moskovskogo Universiteta. Fizika, 2015, No. 2, pp. 56–61.